Google co-hosted an evening reception for 300 women students in their first year of graduate school. We welcomed them into the community of computing researchers and professionals by presenting on topics such as career development and graduate education while introducing them to some leading computer science professionals during their two-day meeting. One of our engineers spoke about opportunities for women in computer science and her experience working at Google. Outside of the workshops and speakers, there were also mixers and fun social events. My favorite part of the conference was being the only guy dancing with 300 women to “Girls Just Wanna Have Fun”. The 2011 Richard Tapia Celebration of Diversity in Computing conference was the largest in the conference’s history and is being called the most diverse conference in computing in the nation. In addition to the our sponsorship, Google also planned all of the logistics for the conference, which included over 500 students. This conference was a great opportunity for Google to meet some of the top computer science students in North America. We had a great turnout from Googlers as well—20 volunteered their time during the three-day conference to host technical interview workshops and speak to students at our booth, amongst other things. What’s the most rewarding part of attending and helping out with these conferences? I really enjoy meeting the future talent for our engineering community. I especially look forward to meeting younger students who are just starting to get interested in computer science. Their enthusiasm and energy for this industry is quite contagious. At Google, we strive for diversity—and the excitement shared amongst such a distinguished group of students at these conferences reminds me why we value diversity in people and ideas at Google. What’s the most common question you get from students? What’s your answer? Besides all the questions I get about the free food, I get asked, “What types of jobs does Google have to offer?” I usually point students to our student job site at www.google.com/students/eng, and I explain that this comprehensive site gives them an accurate look into what we are currently looking for at Google. I try my best to know about as many of the job openings as I can, from what skills the position requires to what sort of responsibilities the role takes on. Even though I am not an engineer, I have learned a lot from the engineers who travel with me to conferences or who give tech talks at the schools I manage. They give me insight into what they do on a day-to-day basis, which is valuable information I can share with the students. Everyday I learn something new and exciting, and my hope is that I can convey that excitement to the future leaders of computer science. Do you have any words of advice for students hoping to work at Google? 1) Do your homework! Do some research before you approach the Google booth—or really any company representative. Find out what jobs are currently open, and find a job that particularly suits you. Talk the job up to a recruiter and find similarities in the job description and your skills. Formulate ahead of time a couple of questions that you can ask. It will show the recruiter that you have researched the role and are interested in working for the company. You will get a lot more out of the conversation this way. 2) Be yourself and play to your strengths. Your passion will come through in any of your conversations with a Google representative. Introduction: Google sponsors and participates in a variety of diversity conferences for engineering students. To learn more about Google’s involvement, we sat down with Hal Marz, a University Programs Specialist. For each of these conferences Hal plays an integral role in overseeing Google's participation and sponsorship. Here, Hal talks about three of these recent conferences and shares his advice for students interested in working at Google. What’s your position at Google, and what are your main responsibilities? I am a University Programs Specialist with Google based out of Mountain View, CA. 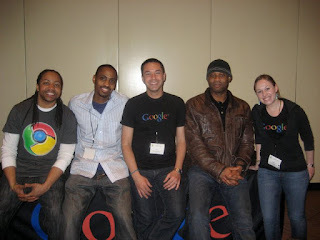 While I spend quite a bit of time partnering with universities in Canada to keep them informed of engineering job opportunities that we have in Google offices worldwide, I also manage the relationships with some of our diversity partners and represent Google at several student diversity conferences in the United States. Tell us about the recent conferences you’ve attended. This year’s theme was “Engineering the Gateway to Success”, and the purpose of the Annual Convention is to provide attendees with the motivation, skills and opportunity to succeed in engineering. Google engineers and University Programs staff talked to students about job opportunities (both intern and new graduate positions). One of our engineers created a game called “query hunt” that students could play at our booth and win some Google swag. This timed game tested their Web searching skills. We also had one of our New York based software engineers participate in a panel discussion on cloud computing that many students attended. 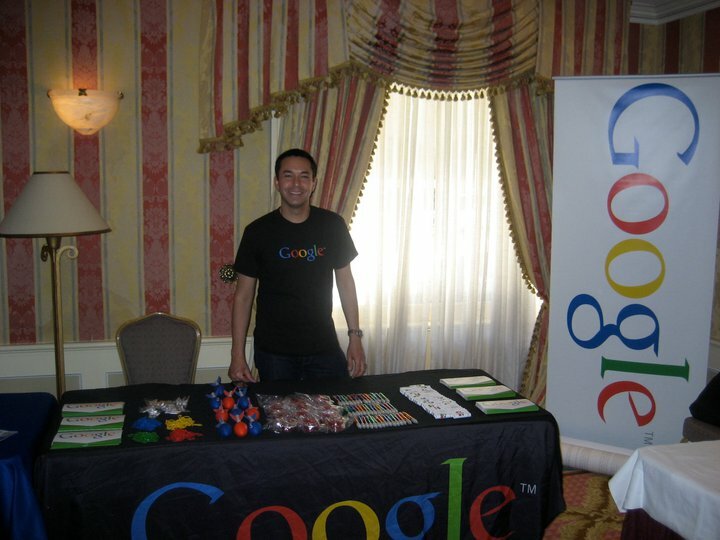 After the convention’s career fair, we invited students to come talk to us about opportunities at Google. Over 200 students stopped by to speak with us! Most had visited our booth earlier in the conference, but many had additional questions for our team. It was a great way for us to continue conversations with the students in a relaxed, fun environment. Wonderful idea..great to know. Thanks for sharing this with me!